Tocopherol acetate, also called vitamin E acetate, is a form of vitamin E that combines the vitamin with acetic acid, which is an organic compound that is the main ingredient of vinegar. Tocopherol acetate has many potential nutrition and health applications, and it is commonly found in oral supplements as well as dermatological creams that are applied to your skin. Talk with your doctor before using any form of tocopherol acetate to make sure it is safe for you to use. Tocopherol acetate is the most commonly used form of vitamin E in sunscreens and skin care products, according to the "Scientific Committee on Cosmetic Products and Non-food Products." Tocopherol acetate has photo-protective properties which can help protect your skin against harmful ultraviolet radiation from the sun. The protective function of tocopherol acetate may even reduce your risk for developing skin cancer due to sun over-exposure, however more research needs to be conducted to validate this effect. As an oral supplement, tocopherol acetate can help treat and prevent a vitamin E deficiency. Other forms of vitamin E may cause gastrointestinal distress, while vitamin E acetate is generally more tolerable to your digestive tract due to the addition of acetic acid. According to the Linus Pauling Institute, a deficiency in vitamin E can cause neurological problems such as muscle weakness and impaired balance and coordination. Tocopherol acetate is generally regarded as safe and has a very low toxicity rate, according to the "International Journal of Toxicology." When taking within the recommended daily allowance, vitamin E has little to no side effects. However, high doses of tocopherol supplements may impair your body's natural blood clotting ability, which can increase your risk of bleeding. Some physicians recommend discontinuing vitamin E supplementation one month before surgery due to this risk. The Linus Pauling Institute states that tocopherol acetate is just as bioavailable as other forms of vitamin E, meaning that it is just as effective at delivering vitamin E to your body than other vitamin E supplements. 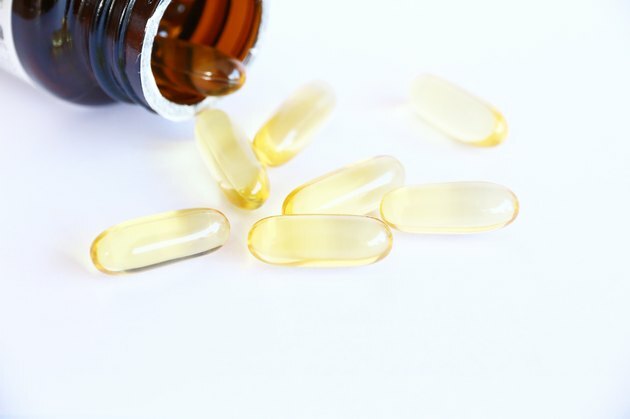 The Office of Dietary Supplements recommends adults obtain 15 mg of vitamin E daily, while children should consume 11 mg or less, depending on their age. Talk with your doctor to determine how much vitamin E you should be taking, and whether the acetate form of vitamin E is right for you.